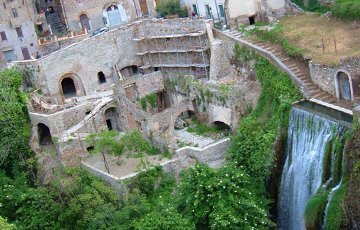 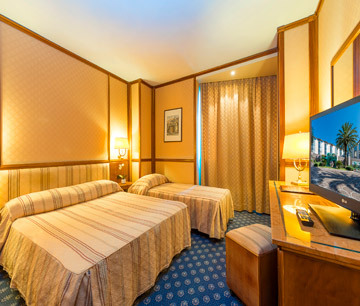 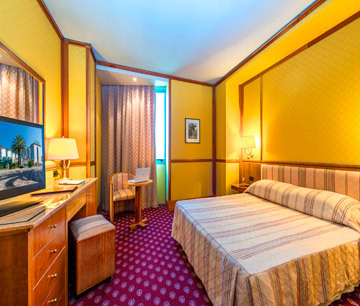 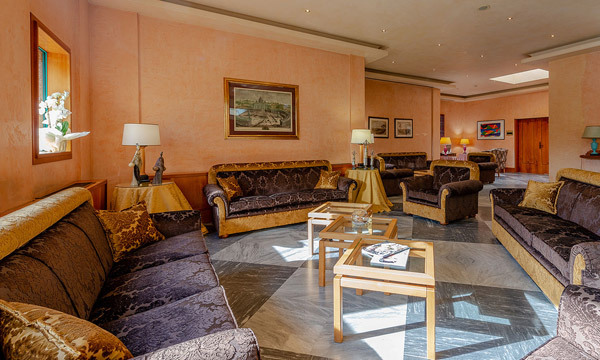 The Grand Hotel Duca d'Este is located in Tivoli Terme, on the Tiburtina Valeria way, an old consular roman road, and is a perfect meeting venue as well as the ideal accommodation if you are looking for one of the best relax hotels in Italy. 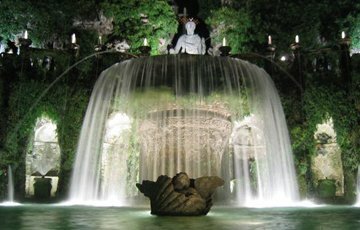 The Grand Hotel Duca d'Este, an elegant hotel just outside Rome, boasts a prestigious position in an area full of charm and historical sites such as Villa d'Este, with its 100 fountains and exclusive panoramic restaurant, and Villa Adriana, with its traces of ancient civilization, set in a park of 120 hectares. 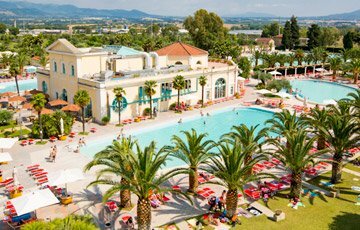 Its elegant architectural design and green surroundings are perfectly combined with the high quality services and hospitality. 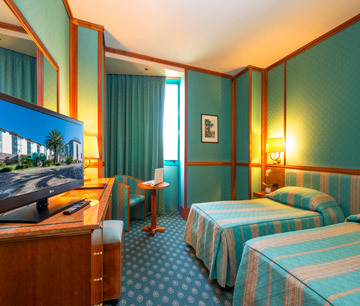 The Grand Hotel Duca d'Este offers you the opportunity of using a fully-equipped wellness center or to award yourself a stay at the Terme di Roma Acque Albule, situated only 500 meters far from the hotel. 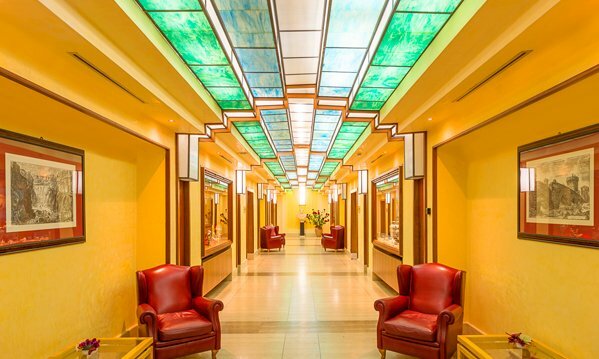 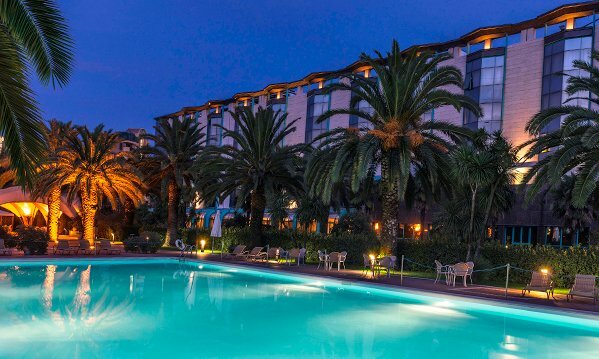 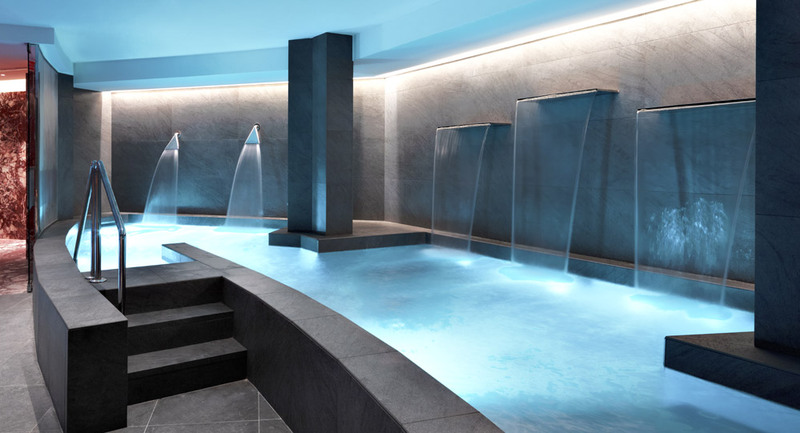 The Grand Hotel Duca d'Este offers the opportunity of using a fully-equipped wellness center or to spend a day at the Terme di Roma Acque Albule, situated only 500 meters far from the hotel. 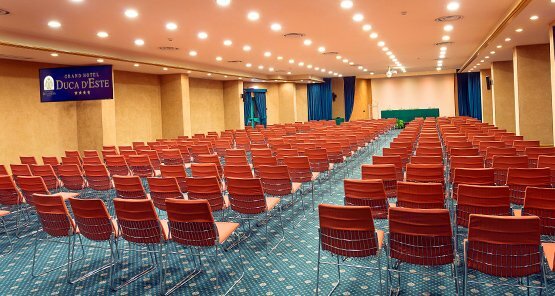 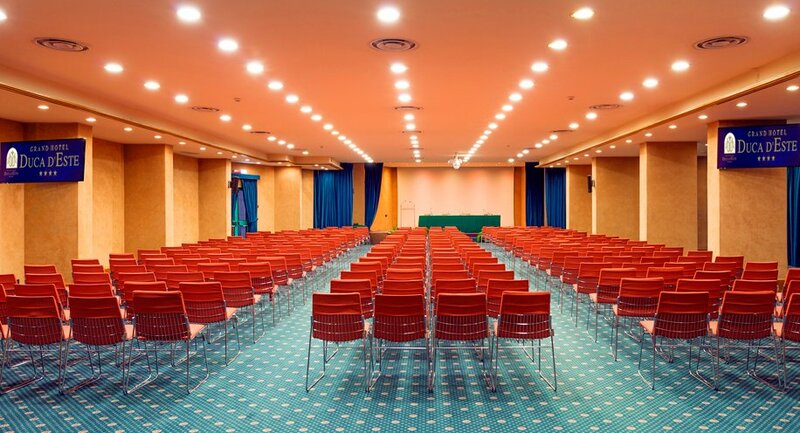 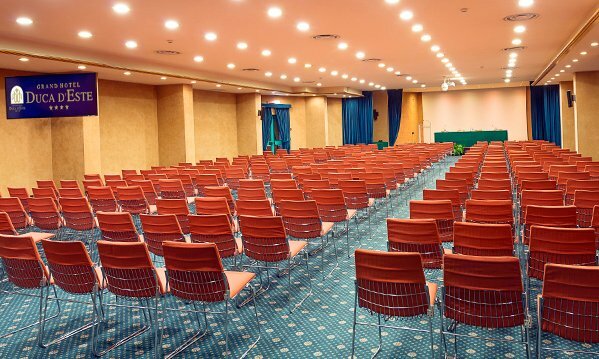 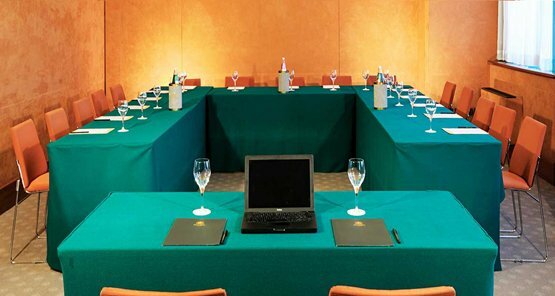 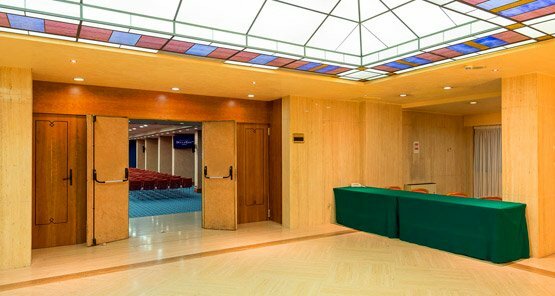 The Grand Hotel Duca d'Este pays great attention to the activity of congress planning and proposes various solutions: two meeting rooms, Regina and Colonnelle, for 450 and 350 people, 6 breakout rooms to host 10 up to 40 people, and a 600 m2 room for expositions. 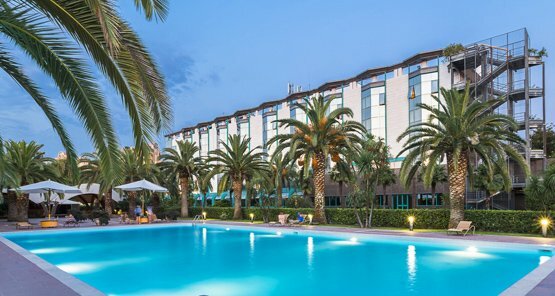 The wellness centre of our hotel near Rome is the best way to spend a memorable vacation, an oasis of pleasure inside our resort. 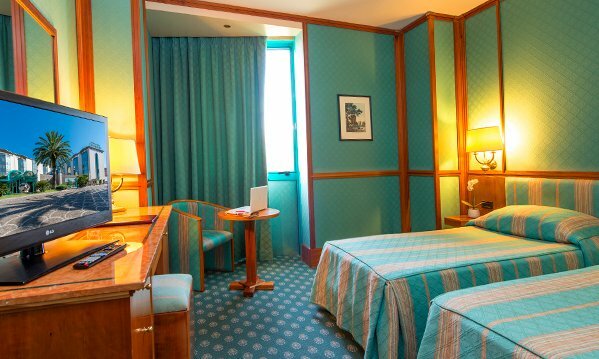 When it’s time for a getaway, Grand Hotel Duca d'Este offers unique travel packages and hotel discounts. 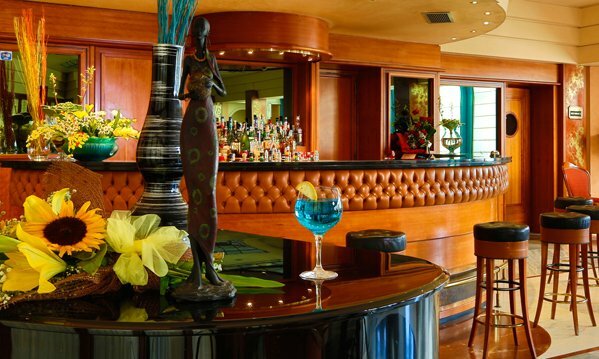 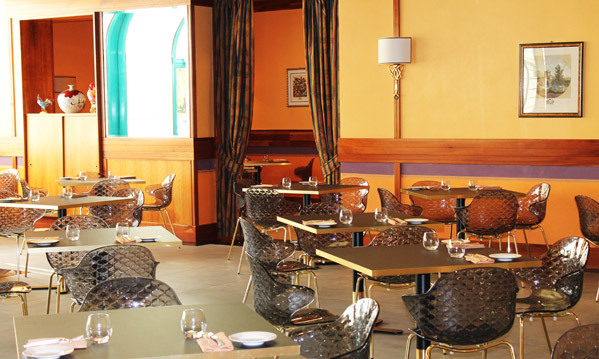 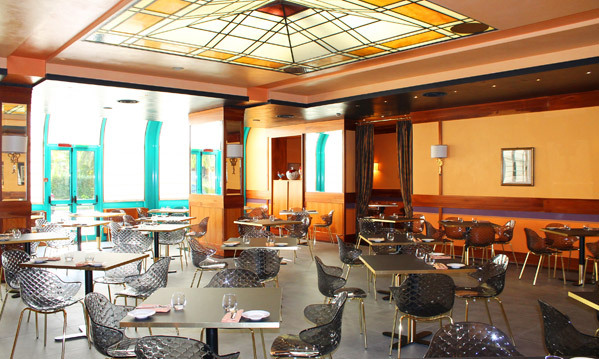 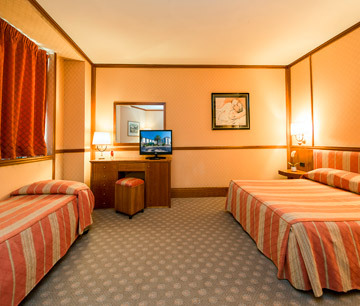 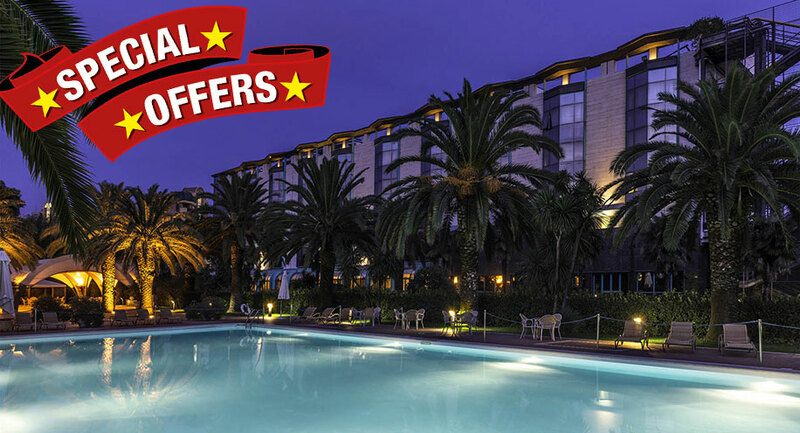 Search our latest hotel special offers by type or by what interests you. 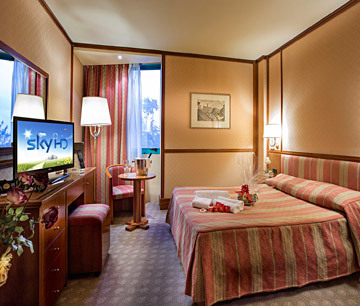 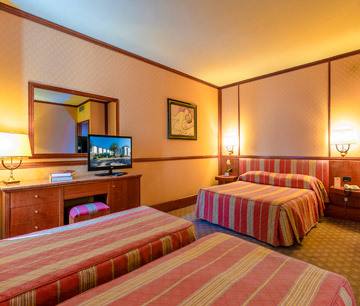 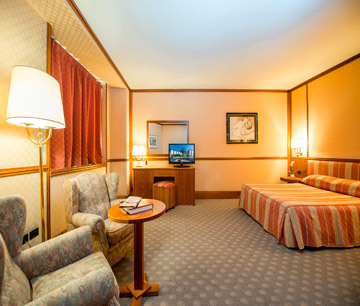 Discover our offers to have a perfect holiday in Tivoli Terme! 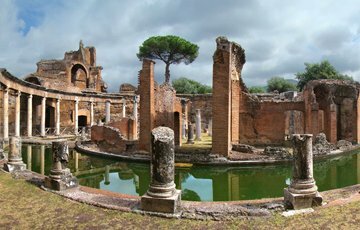 Among the remains of the Roman Imperial, the most impressive and fascinating building is the precious Villa Adriana. 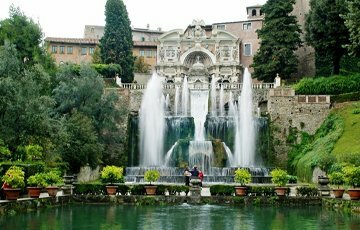 Built by the Emperor Hadrian, it is located in ..